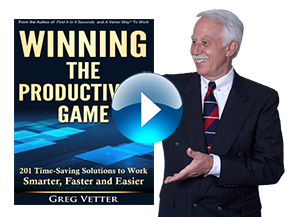 LEAN CONSULTING | Vetter Productivity, Inc. Think of the many ways a simple task is performed in your organization. Whether it is in an office, in a lab or in a stockroom. Multiply each task by the number of your employees. Many times, that’s the number of different ways the task is being accomplished. Now imagine those tasks being performed the same, efficient way. No down time is wasted trying to figure out how to do them since a work process is already set up. The ultimate level of work is accomplished when your organization standardizes its work processes, systems and procedures. When everyone uses the same methodology, recreating the wheel becomes a thing of the past. Management and employees alike have a specific set of routines that can easily be followed. New employees are up and running in half the time. Identify common tasks and actions, and create standardized systems to accomplish them. Eliminate “reinventing the wheel” every time a task is given to employees, since everyone will be using the same system. Eliminate gray areas that cause confusion and frustration. 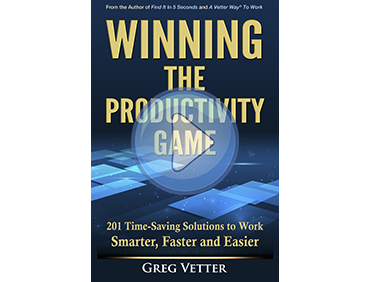 Greatly increase your organization or company’s productivity. Simplify training for new employees, enabling them to be up and running quicker. Create flow action systems that eliminate common mistakes. Your productivity will increase greatly simply because you are using a well thought out, standardized, easy to train procedure that everyone uses. How much of a worker’s time during the day is actually spent producing work? Incredibly, it was an average of three hours per day and that was before the Age of Interruptions that we are currently in. Constant interruptions, multi-tasking, jumping from task to task, lengthy e-mails, too much technology used, emergencies and shifting priorities all account for why our daily productivity is less than optimum. Is your strategy for being productive still working in today’s workplace? Times and technology have changed with everyone inundated with just too many demands. The worst part is that it feels hopeless. Few people have been taught a system of how to find information rapidly. Fewer have been taught a system of how to actually work in and out of the office. Most workers are thrown into their jobs and expected to know how to work. Few do. Our program will help the individual worker keep pace with and organize their work for greater productivity and manageability. Your assembly line is set up for maximum efficiency. What about the rest of your facility? Whether it is your electronic or paper information storage system, the work flow in your lab, or how your maintenance room is inventoried or set up, we will create a smooth work flow, system or layout that will maximize your facilities’ efficiency.